After meeting your guide, set out on a 9-10 mile stretch to enjoy the city of Austin, local-style. 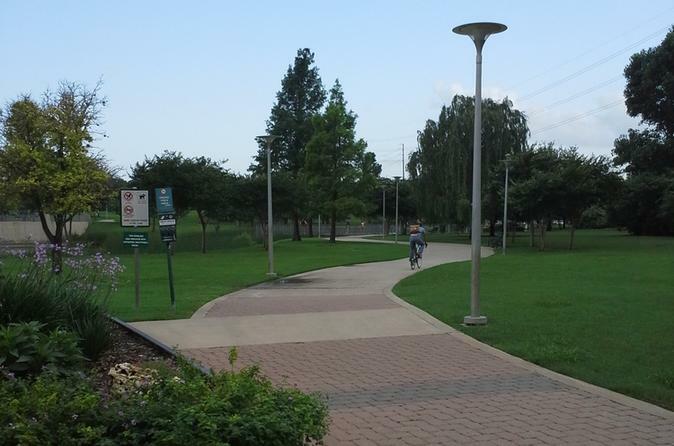 Begin by cruising down into South Austin from Butler Park. Cruise up a few hills and then swing into a local brew pub with excellent farm to table food. After we go around through Barton Hills for a swim at the Barton Spring Pool ($5 / $9 non-residents, closed Thursdays).